1. What is a Holistic Mouth Doctor? A Holistic Mouth Doctor builds up your overall health through a healthy mouth. A holistic mouth builds natural health, whereas a dysfunctional mouth has built-in problems that can undercut your health even before you use it. Sleep apnea and bite-related neck pains are two examples. 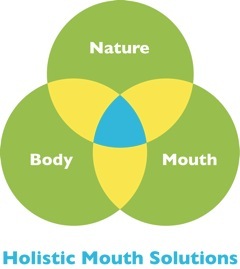 A Holistic Mouth Doctor is a dentist who can turn a dysfunctional mouth into a holistic mouth. A Holistic Mouth Doctor fills the gap between traditional medicine and dentistry by making your mouth work as a source of natural health and wellness instead of pain and disease. Holistic Mouth Doctor is not an official degree, but a description of a doctor with knowledge and skills to identify and treat a dysfunctional mouth as a factor in diseases and pain that are resistant to standard treatment. A Holistic Mouth Doctor’s work can help the body heal naturally in some cases, and respond better to dental, medical. and alternative care in others. 2. Why do I need A Holistic Mouth Doctor? A Holistic Mouth Doctor can help you determine if your mouth is hurting your health. Many medical symptoms have the mouth as a either a cause or a factor, and many dental symptoms have origins from beyond the mouth. A Holistic Mouth Doctor’s work can help the body heal naturally in some cases, and respond better to dental, medical. and alternative care in others. 3. Do I still need a dentist if I have a Holistic Mouth Doctor? Yes. A dentist works on teeth, while a Holistic Mouth Doctor works on making your mouth work for your whole body health in Oral-Systemic Links such as head-neck-back pain, sleep apnea, heart disease, diabetes, obesity, Alzheimer’s Disease, acid reflux, arthritis, etc., and how gluten sensitivity, celiac disease, and anti-depressants affects jaw pain and teeth grinding. You can check out your Holistic Mouth Score by clicking here. 4. Dr. Felix Liao is a Holistic Mouth Doctor, but is he still a dentist? Yes, Dr. Felix is both a general dentist and a Holistic Mouth Doctor. This means that Dr. Felix can be your general and family dentist as well as your Holistic Mouth Doctor. 5. How do Dentists and Holistic Mouth Doctors work together, or do they? A Holistic Mouth Doctor’s work makes the body and the mouth respond better to dental care. Dentists and Holistic Mouth Doctors should work together to avoid complications from dental treatment, such as root canals, teeth grinding, cracked teeth, and persistent sensitivity after dental work. Reducing systemic inflammation is just as essential as soft tissue management as basic preparation to restorative dentistry. A Holistic Mouth Doctor works on the mouth’s contribution to patient’s burden of stress and inflammation, while a dentist works on teeth and gums. Dentists can refer to a Holistic Mouth Doctor to address Bite Realignment, Sleep Breathing Disorder, Perio-Cardio Risk, and Digestion-related Inflammation. A patient referred to a Holistic Mouth Doctor will be returned to his/her own dentist for cleaning, and any reconstructive work. 6. Does a Holistic Mouth Doctor take the place of my medical doctor? No, a Holistic Mouth Doctor does not take the place of your medical doctor, naturopath, chiropractic physician, osteopath, or acupuncturist. A Holistic MEDICAL Doctor recognizes the importance of a healthy mouth and refers patients to a Holistic MOUTH Doctor for oral appliance as CPAP alternative, correcting bite misalignment as a source of chronic pain and depression, and controlling periodontal disease as a source of inflammation. A Holistic Mouth Doctor builds your whole body health with a healthy mouth. A Holistic Mouth Doctor’s work makes the body respond faster and more completely to the medical care that you receive from your medical doctor. 7. Does a Holistic Mouth Doctor work with kids? At what age should I start bringing my children to see a Holistic Mouth Doctor? Yes, Dr. Felix as your Holistic Mouth Doctors works with kids. He has created an entire program for kids because holistic mouth is the bedrock of Whole-Body Health. Dr. Felix’s Whole Health Kids program suggests kids should be evaluated for head-jaws-neck alignment by age 5. Or if any of the following problems arise: breastfeeding (tongue tie), mouth breathing, snoring, fatigue, hyperactivity, daytime yawning, allergies, frequent ear, nose throat infections, or teeth grinding. For more information on Dr. Felix’s Whole Health Kids Program, please click here. 8. How will a Holistic Mouth Doctor make a difference in my life and the life of my family? A Holistic Mouth Doctor like Dr. Felix, is a family health resource because a dysfunctional mouth is a source of headaches, neck-back pain, fatigue, depression, daytime sleepiness, moodiness, and even sudden death. A Holistic Mouth can lead to natural healing by the body, more energy, more productive and creative work, looking and feeling better, less dependence on doctors, lower health care costs over a life time, more years added to your life, and more life added to your years.